The combative Chicago mayor’s reelection chances suddenly look grim. It’s been a tough few weeks for Chicago mayor Rahm Emanuel. A string of setbacks have left him politically vulnerable for the first time since he took office in 2011. According to a recent Chicago Sun-Times poll, city voters don’t think he’s doing any better than his predecessor, Richard M. Daley. His reelection bid, the Sun-Times reports, is “on the ropes,” despite a $7 million campaign war chest. Given a hypothetical list of candidates, just 29 percent of poll respondents said that they would vote to reelect Emanuel. Only 8 percent of blacks and 2 percent of Hispanics would vote for him today. Other critics have grown weary of Emanuel’s stage-crafted “Rahmbo” image. The Chicago Tribune unearthed e-mails showing that the producers of CNN’s reality TV program, Chicagoland, coordinated shooting of the show with Emanuel’s staff in a way designed to make the mayor look good. (The show’s producers are also clients of William Morris Endeavor, the agency run by Ari Emanuel, Rahm’s brother, though they claim that they were not represented by the agency on this project.) The tough-guy pose is particularly discordant in light of Chicago’s crime epidemic. Chicago Magazine excoriated the police department for misstating crime numbers and using gimmicks to make the city look safer than it is. A dead woman found gagged and strapped to a chair was not included in murder statistics, for instance, because the exact cause of death couldn’t be determined. 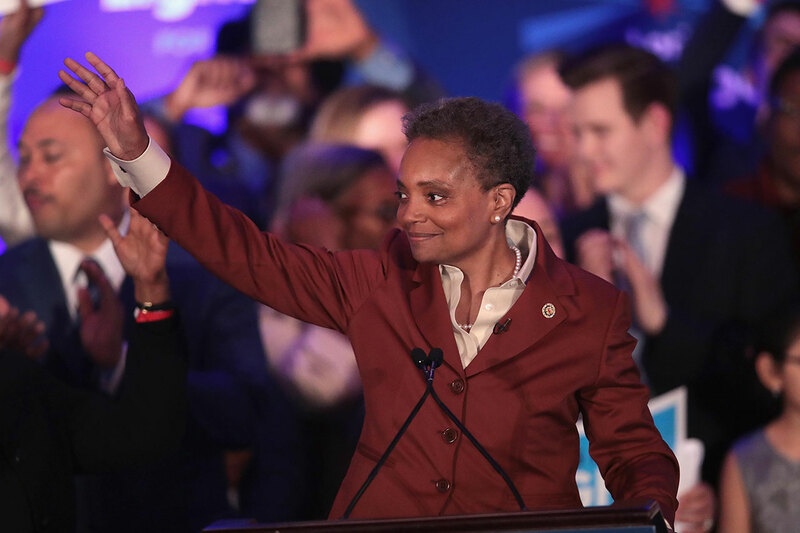 But the most ominous sign for Emanuel came in a Chicago Sun-Times op-ed by elementary school principal Troy LaRaviere, in which he accused the mayor of suppressing principals’ independence and forcibly enlisting them as proponents of his education policies. According to LaRaviere, principals were instructed to have an “elevator speech” ready for the media, in which they would praise Emanuel’s proposal for longer school days. LaRaviere described how his fellow principals are concerned “about being harassed, fired or receiving a poor evaluation” and “paralyzed by fear of what might happen if they simply voiced the truth.” One even asked him, “Aren’t you afraid of losing your job?’” That LaRaviere apparently isn’t afraid may indicate a new willingness to speak out against an intimidating mayor. With his popularity plummeting, a credible potential challenger on the horizon in Cook County Board president Toni Preckwinkle, and a now hostile media, Emanuel’s political blood is in the water. The mayor understands the stakes. He granted a rare half-hour telephone interview to local political columnist Greg Hinz, in which he admitted to some failures of style—“There are times I need to pull back and listen. I understand that”—but not of policy. David Axelrod defended the mayor in a Tribune op-ed. In fairness, Emanuel has achieved considerably more than his critics acknowledge. Though he has continued Daley’s pattern of borrowing and spending, he did cut operating expenses in the budget. Some of his service reductions to schools, libraries, and mental clinics were tough responses to a painful fiscal reality—there really is a price to be paid for financial mismanagement. He’s held out against tax hikes to pay for pensions until reforms are in place. He made notable progress on transportation. The recently negotiated pension agreement with one of four key groups of municipal employees is a big deal. His critics must live in a parallel universe if they think the city’s public-sector unions will give up anything without a massive fight. 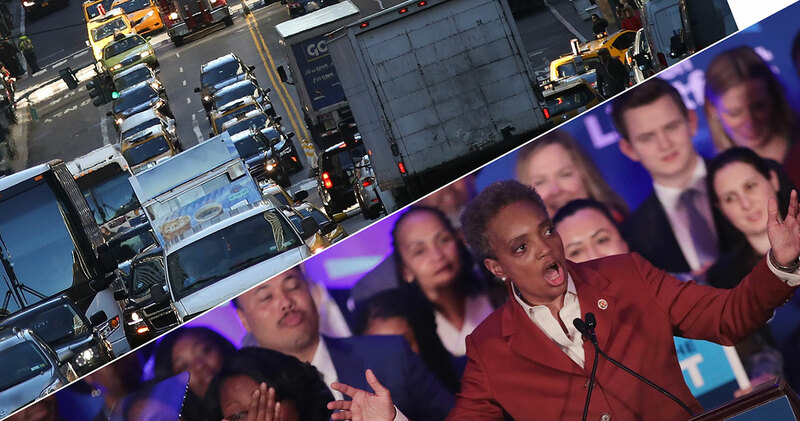 And as City Journal senior editor Steven Malanga observed, Chicagoans themselves have unrealistic assumptions, expecting someone else to pay for the pension debts run up by the politicians they elected. Yet, Emanuel may be making a political misjudgment. He seems to believe that, like President Obama, he can tough it out through any storm or scandal. Local politics, however, is different from the national scene. In a country evenly divided between Democrats and Republicans, the president has a core constituency that will back him no matter what. By contrast, Emanuel has no political base. His support was always wide but shallow, as the collapse in minority-voter approval shows. His ability to get reelected depends on his ability to perform and the aura of invincibility that surrounds him. If he can’t command fear and compliance, he can’t get things done. Emanuel’s pension-reform plan will be a key upcoming test. 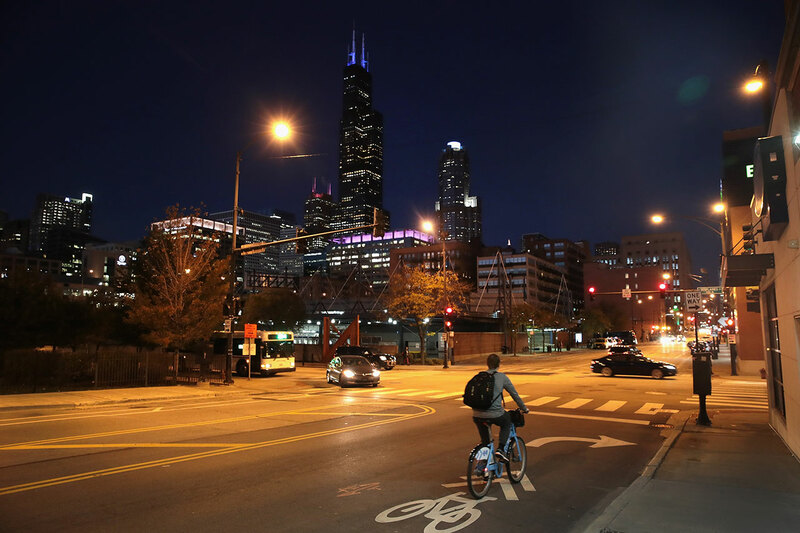 It will require approval from both Illinois governor Pat Quinn and Chicago’s city council. With polls showing Chicagoans dead set against a $750 million property-tax hike, Quinn and the council will wonder why they should stick their necks out to make the deal work. Hinz calls it a “nightmare scenario” for Emanuel. The mayor has standby-borrowing authority to cover the statutorily required pension-contribution increases until after the next election, but the city can’t afford to defer pension reform any longer. None of this is to say that Rahm Emanuel is through. He has the backing of Chicago’s big political donors—one group that likely won’t abandon him. But for someone recently dubbed Mayor America by the Financial Times and who seemed like a lock for reelection not long ago, Emanuel’s reversal of fortune has been stark. He’s surely feeling the heat much more than he’s letting on.